Have you seen Day 1 at Lakme Fashion Week Summer/Resort 2012? No? Have you missed it? 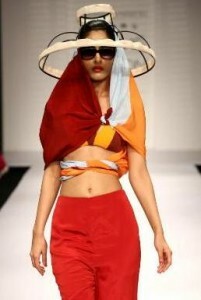 Oh..Not to worry.. 😀 You can still catch the highlights of Day 1 at Lakme Fashion Week Summer/Resort 2012. Check below Video for all the highlights of Day 1 at LFW 2012. 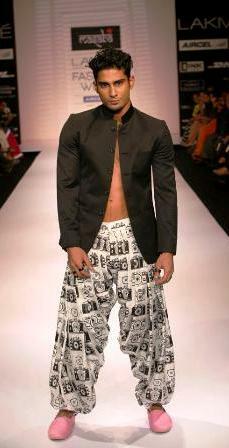 On Day 1 that was on 2nd March 2012, many popular designers of India showcased their collection on Ramp. The LFW summer/resort 2012 was started by splendid collection from “Gen Next”. The collection was truly for Gen Text which was completely fascinating, stylish and very innovative. “Gen Next” was followed by Rajat K Tangri & Sailex, another fabulous show at LFW 2012 Day 1. Then it was turn of Masaba and Shivan & Narresh, such an iconic collection they have presented! Masaba’s show was completely hit at lfw and why not? The very hot; Prateik Babbar was the Show Stopper for Masaba. Check the picture..
At last Khushali Kumar came on the ramp with her wonderful collection. Dia Mirza was spotted with her. And finally James Ferreira was there with collection. With so many brilliant designers and celebrities spotted, Day 1 at Lakme Fashion Week Summer 2012 ended cheerfully! Hope you like this post from us. If you like it please like it and share it on your Facebook wall. We will keep you updating about coming days of Lakme Fashion week.